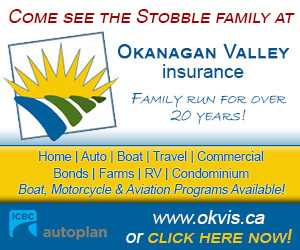 Gonzo Okanagan Online Marketing - Novemeber Promotion - Gonzo Okanagan Online News, Music, Technology, Sports, Film, Arts & Entertainment, Culture, Wine & Dine... Life! 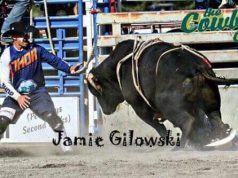 Give us a shout if you want to be featured! 250-899-2112. 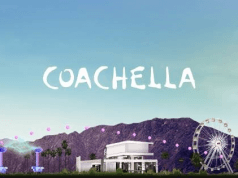 We generate 1 million page views per month! 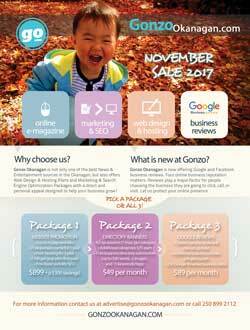 NEW Gonzo Okanagan Online Marketing Promotion for November is NOW ON! If you need online presence, this is it! Are you lost in the mire of millions upon millions of Google results, and don’t know what to do about it? Too busy? Too complicated? Just need it done and taken care of? THIS is definitely for you! On average, we generate 1 million page views per month, which makes GonzoOkanagan.com a strong presence for Google. And who really searches page 3, 4, 5…? Not anyone I know! Get the promotion now! 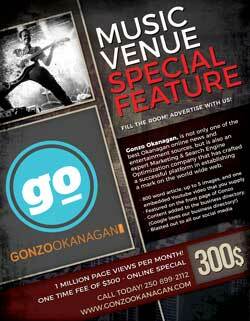 advertise@gonzookanagan.com or call us at 250-899-2112! Space is limited. NEW to GonzoOkanagan.com – Business Directory! We are adding new business categories everyday, but to start, here are a few available for you. If you would like to contribute to our category list, feel free to contact us – contact@gonzookanagan.com and we will do our best! New October promotion starts Monday where we will be featuring all who are in the #automotive, #restaurant, #winery, #pubs & #clubs, #realestate industry! Looking forward to revving up this promotion and #showcasing your #business on GonzoOkanagan.com! Give us a shout if you want to be featured! 250-899-2112. We generate 1.2 million page views per month!